A model has come under serious fire for her comments to a 14-year-old actor from hit show Stranger Things. Ali Michael, an American fashion model, shared the photo of Finn Wolfhard with the inappropriate comments. Michael is 27, whereas Wolfhard is 14, and critics were quick to point out the comments were highly misjudged by the model. Some made the argument the statements would have been more horrific if the roles were reversed. They said the comments would be worse if a 27-year-old man had said the same of a 14-year-old girl. People have been quick to point out the comment is very much, indeed, weird. The model has apologised for the comment, admitting she understands why people were offended, reports the Independent. It was completely absolutely a joke but I understand that people have been offended by it. It was wrong to joke about and I apologise. 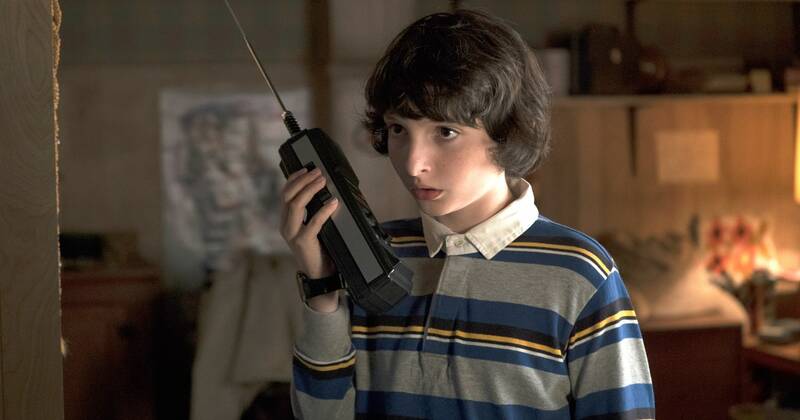 I do not want Mike from Stranger Things to call me. I hope this clears things up. Furthering on this apology, she made a statement to Teen Vogue saying she never intended to sexualise young Wolfhard. On October 30th, I posted an Instagram Story with a photo of Finn Wolfhard who plays ‘Mike’ in Stranger Things asking him to, ‘call me in for years’. The general nature of my social media platforms is often one of humor, sarcasm and playful self-deprecation. I often quote, post and publicly respond to music videos, films, documentaries and television shows in a frank and candid manner. The nature of my posts in response to television and media are always tongue-in-cheek and never intended to mislead or upset anyone. In the past, I have asked fictitious characters of films to call me (namely Edward Scissorhands and Simba from the Lion King). In this instance, it has become clear to me that asking a character ‘to call in four years’ and inappropriately tagging the underage actor who plays the character (Mike) was upsetting, suggestive and concerning for my audience. This isn’t the only controversy involving Finn Wolfhard, who fired his agent amid past sexual abuse allegations. Wolfhard’s agent, Tyler Grasham, is on leave pending an internal investigation by the APA. Grasham is facing a series of claims of sexual assault and inappropriate behaviour, particularly with young aspiring male actors, including filmmaker Blaise Godbe Lipman. A spokesperson from the agency declined to discuss or confirm the agent’s status. Reports suggest the agency has hired an independent investigator to look into the matter, while Grasham has turned his social media accounts to private as well as deleting his Facebook. Wolfhard is in high demand at the moment following his major successes in both Stranger Things and the recent adaption of Stephen King’s It.